﻿ Carroll County Arts Center - Ohio. Find It Here. Open to the public, this unique gallery features the works of 49 local artisans. The first floor gallery features diverse exhibits in a variety of media - paintings, stained glass, photography, sculpture, wood crafts - which change bi-monthly. The gift shop offers original paintings, photographs, one-of-a-kind jewelry items, scarves, cards and limited edition prints for purchase. 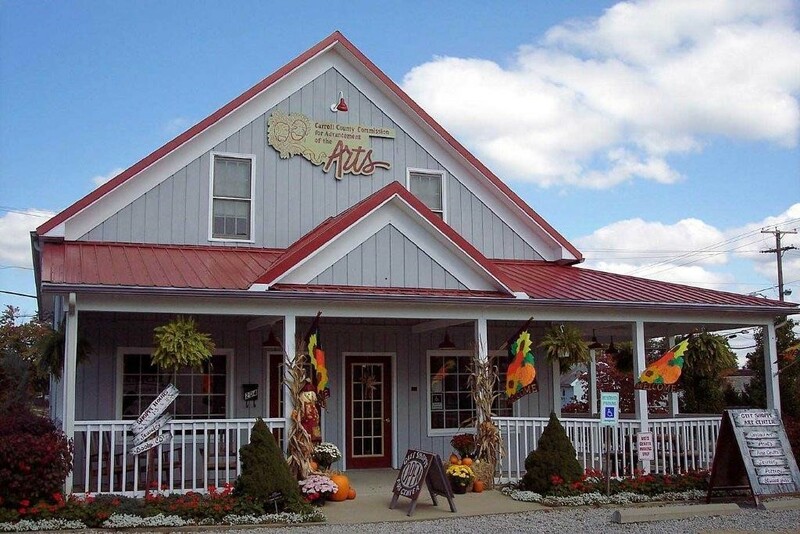 The Carroll County Arts Center also offers classes, concerts, receptions where you can meet the artists and, special events.